My garden has definitely grown since the last post, and I have been adding more plants as well. 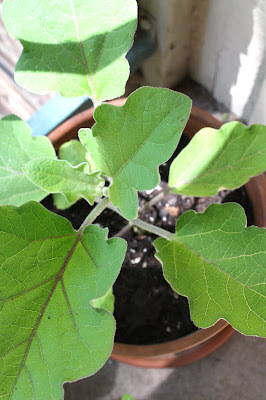 Here is a photo of my new cherry tomato plant which I brought home from the Dallas Farmers Market. If you click on the photo you will see a tiny tomato on its way to growth. You will also see a disgusting fly next to it. 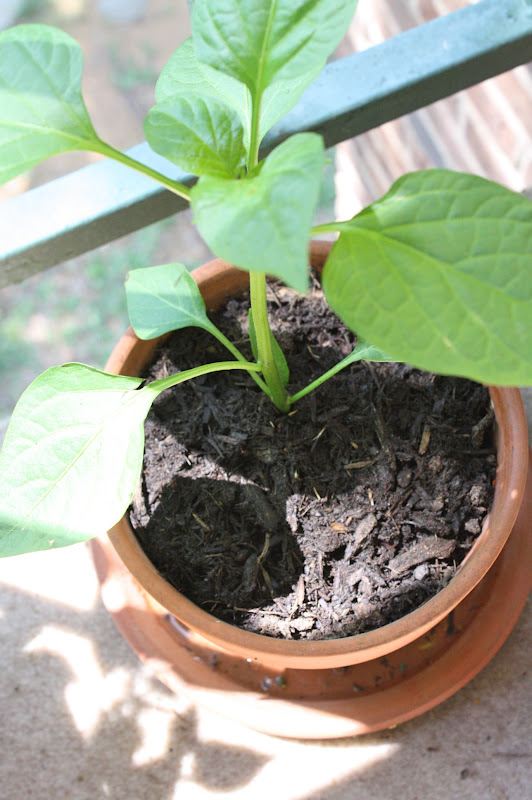 This is a kind of chili plant. 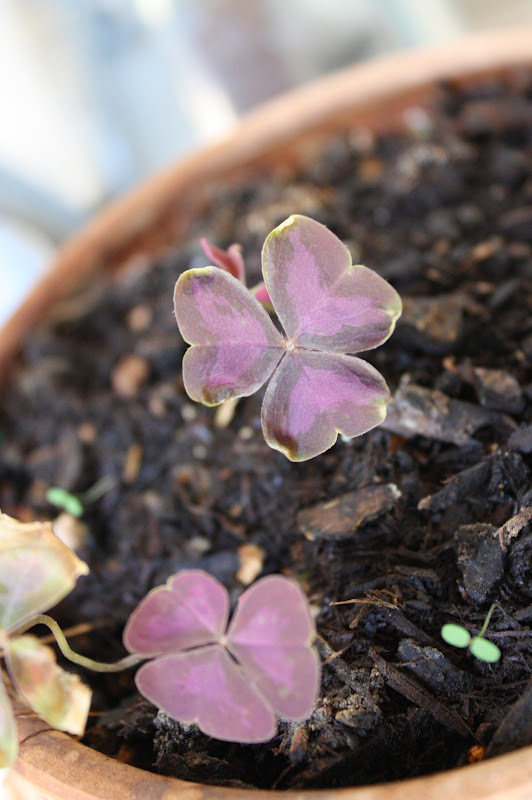 They are still tiny so I placed them in small pots and will be transferring them to bigger pots once they mature. 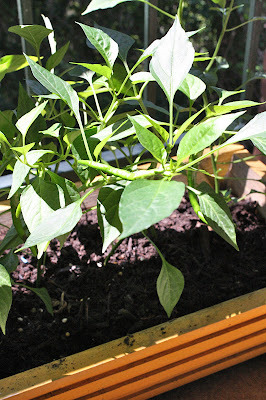 These are more mature chili plants that I have placed in a rectangular planter. 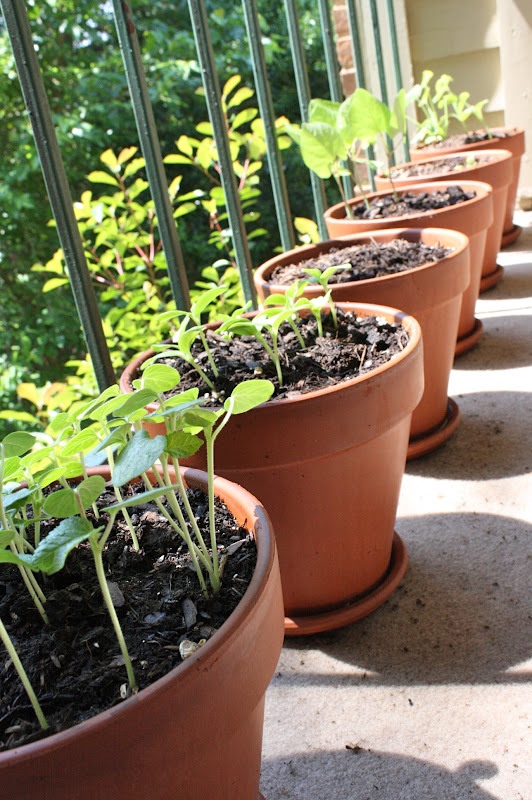 There are six plants in this planter all in a row. As you may assume, I do like to eat a lot of chili. 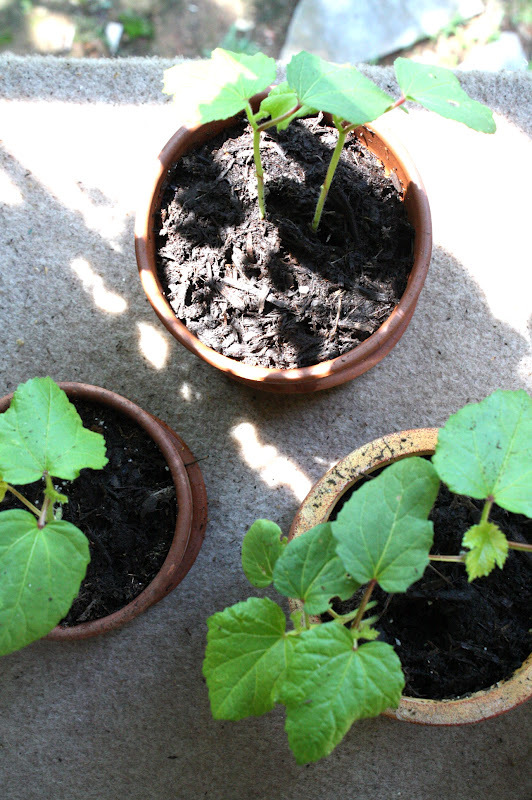 And to be able to pluck them out of my garden whilst I am cooking - is just blissful. 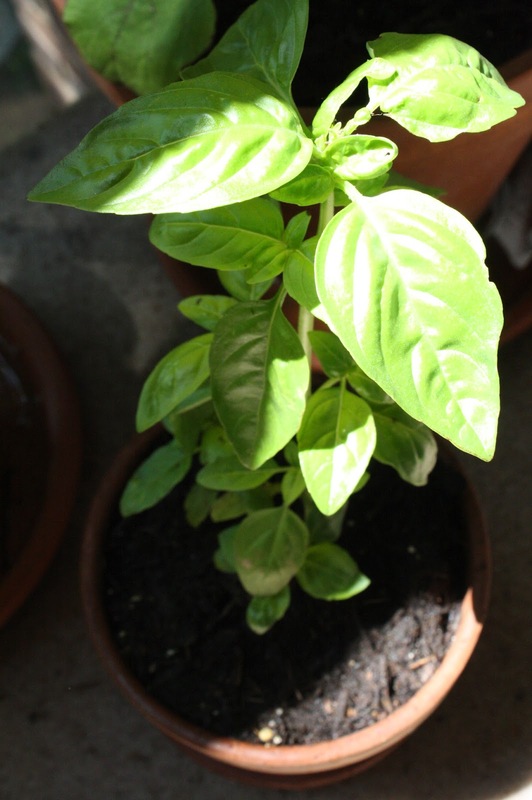 I finally remembered to add basil to my herb garden. Here she is! All beautiful. This one is bell pepper - the long kind. Yet another addition to the veggie garden. My husband loves eggplant. So I said to myself "why not". 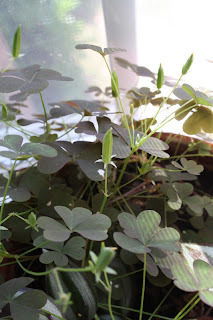 Remember this chili plant from my last post when it was just blooming flowers? Now they have all turned into beautiful purple chilis. 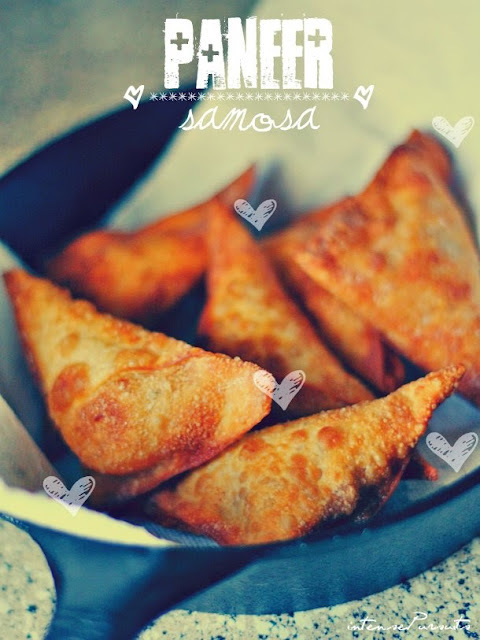 These are not hot at all...just for salad. 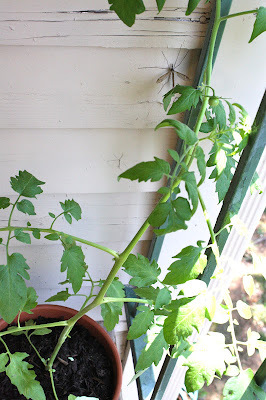 You will also recall this tomato plant from my last post. I see some small buds...hopefully my next post will have photos of tiny tomatoes. My cilantro, green onions, and thyme are still looking lush and vibrant. Already plucked the first batch of cilantro and garnished lots of dishes! If you cannot guess, this is lemongrass. 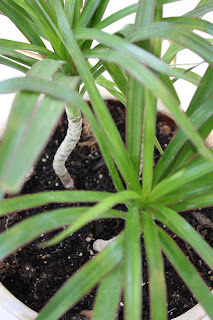 All you have to do is buy lemongrass stems from your local Asian market and plant them in soil or just in water. These are the new leaves that are sprouting once I chopped the top part off. 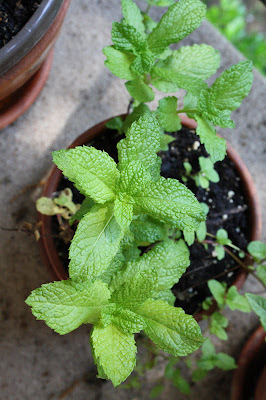 My mint plant is growing and keeping my garden smelling gooood. 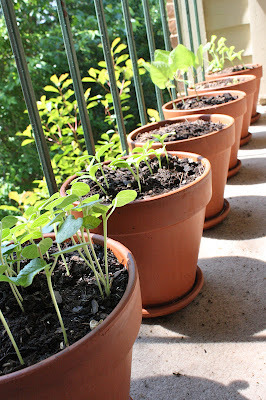 Remember these row of pots where I had planted seedlings? They grow everyday to my surprise. My morning ritual is to place the kettle on the stove, and then fill up the watering can and spend time with my plants. My small rose bush is turning up nicely. I see some buds! The butterfly plant is springing new buds everyday. I had to move her from my verandah to the front door balcony. Too much sun was burning her. This one is also outside my front door greeting everyone as they walk in. 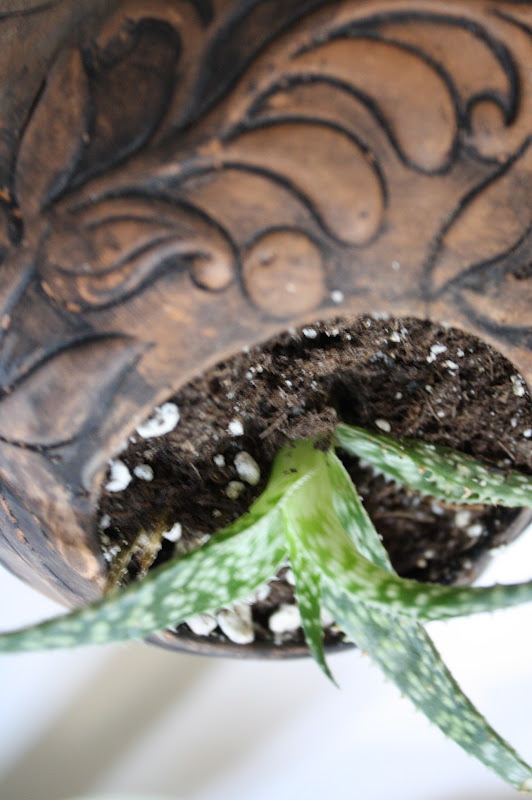 These next few photographs are of my indoor plants. I have them placed in every room in the apartment. I even have them inside bathrooms. Ferns are very good to keep in the bathroom. They love the steam.